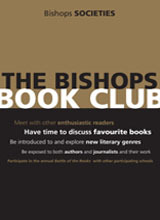 The Book Club is the Bishops society for those who love to read. We meet once a term in the library, and discuss books we have read, recent news, and generally anything interesting that comes up. Every year literary competitions such as the “Battle of the Books” and the Cape Argus take place and the Book Club has produced a team for each of these for many years running, though we are yet to win one of these competitions. We are an open, friendly society and anybody is welcome to join, whether you read Homeric epics or the latest Men's Health magazine. Plus you get to eat Pizza! Our last meeting was on the 28th of October, where we all met on a beautiful day out on the new library deck, where we discussed the controversial novel Endgame: The Calling by James Frey, in which the author has put prize money away, $500 000, for any of his readers who solve the riddle in his the first book of his trilogy. The Book Club meets once a term, on a Tuesday during open period (12:45 - 13:30) in the library or on the deck.